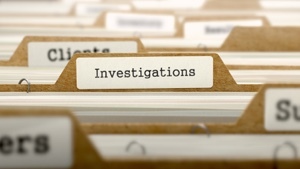 Every workers compensation insurance claim should be investigated because it’s imperative to making accurate and legal assessments related to primary liability. To do that, you need to know a bit about the law and about medicine to create an efficient workers compensation program. Most business owners lack extensive knowledge of both medicine and the law, so here are 3 valuable tips to help you investigate Workers Compensation (WC) claims. This document is the beginning of any WC insurance claim investigation, and it serves as the basis for your insurance company’s investigation making it a critical document to any successful resolution of a WC claim. The form you use may be issued by your state’s industrial commission or could be company-specific. Whichever type of form you’re using, the information on it needs to be accurate and complete. This is an instance when you do want to sweat the small stuff. Before submitting this form, make sure it is completely filled out and that the information is correct. Check that the name of the injured employee is spelled correctly; that you have the correct social security number, date of injury, and wage info; and any potential witnesses are listed. Make sure information about the injury is complete and accurate including when, where, and how the injury occurred, type of injury, the body part affected, and where the injured employee received medical care and treatment. You should also know who completed the form and even a little background about that person. It’s a balancing act; you need to trust but at the same time verify that all the information is correct. Often, the space allowed is not enough to provide thorough information, so don’t be afraid to write “see attached” if you need more room to describe the accident including alternate explanations of what did or didn’t occur. The claimant’s background information such as date of birth, education, work history, etc. The claimant’s prior medical history including surgical history, car accidents, chemical and substance abuse treatment, mental health, etc. Potential interveners such as public assistance, veterans' benefits, unemployment compensation and history, etc. Working environment at the time of the injury such as the claimant’s manager or supervisor, work duties, wage history, verbal and written reprimands, etc. Detailed information about the injury such as a description of injury, immediate injury symptoms, post-injury symptoms, etc. To help avoid questions regarding the admissibility of the recordings, make sure that the employee reviews and signs a transcribed copy of the statement. Medical records and authorizations to discover prior injuries or conditions. Industrial Commission records – Most states keep WC records on file with whatever state agency is responsible for overseeing the WC act. Although you will probably need to get authorization to obtain these records, they can contain a great deal of information about an employee’s prior medical history. A thorough Workers Compensation claim investigation takes time and effort but can save you thousands of dollars and reduce your insurance costs. Follow these 3 tips to make the process go more smoothly and lead to quicker and more successful Workers Comp claim resolutions. Save Big on Workers Compensation Insurance! Workers comp insurance can be more affordable than you think! To learn how you can save big on Workers Compensation Insurance, give the independent experts American Insuring Group a call at (800) 947-1270 or (610) 775-3848 or contact us online. The Occupational Safety and Health Act (OSHA) has a lot of rules and regulations for business owners, and sometimes, those rules and regulations seem like nothing but a nuisance. However, not complying with them, can result in hefty fines. 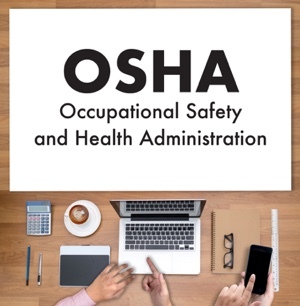 The good news is that OSHA’s intention is to protect employees from workplace injuries; therefore, following OSHA’s rules can help create a safer work environment for your employees and, in turn, lower your workers compensation insurance premiums. We’re here to help you better understand OSHA, its rules and regulations, and to help your business comply with them. OSHA, established in 1971, is a government agency that is part of the US Department of Labor. Its primary purpose is “to assure safe and healthful working conditions for working men and women by setting and enforcing standards and by providing training, outreach, education and assistance.” OSHA’s rules and regulations cover most private sector employers and their workers along with some public sector workers. Fewer workplace injuries and illnesses not only lower insurance premiums, but they also create healthier workplaces and happier employees. Establish and update operating procedures and safety training and make sure your employees understand them. Ensure that employees have safe tools and equipment that is properly maintained. Post the OSHA poster that informs employees of their rights and responsibilities in a prominent location. Report all work-related injuries to the nearest OSHA office within eight hours. Keep records of all work-related injuries and illnesses and ensure that employees and their representatives can easily obtain employee medical records. Post and correct cited OSHA violations. OSHA also encourages all employers to adopt an Injury and Illness Prevention Program. Click here to learn more about your OSHA responsibilities. If an employee believes their work environment is unsafe or detrimental to their health, they can file a confidential report with OSHA requesting an inspection of their workplace. If an employee who submits a complaint to OSHA feels they have been retaliated against, they can file this type of complaint with OSHA. Your best defense against both of these complaints is to do your best to create a safe work environment, follow OSHA’s rules and regulations, and keep an open line of communication with your employees. OSHA can inspect your worksite for any number of reasons including a complaint from an employee; after a severe injury or illness; a referral of a hazard from another federal, state, or local agency, or individual; or if you’re in a high-hazard industry or have experienced a high rate of injuries. Typically, employers are not notified of an inspection in advance; however, understanding the process can take some of the stress out of the experience. Before conducting an inspection, OSHA compliance officers research the inspection history of the worksite. The compliance officer will explain why OSHA selected the workplace for inspection and describe the scope of the inspection, walkaround procedures, employee representation and employee interviews. Both the employer and employee can have a representative accompany the officer during the inspection. The compliance officer and the representatives will then walk through the portions of the workplace covered by the inspection, inspecting for OSHA violations and hazards that could lead to employee injury or illness. After the walkaround, the compliance officer holds a closing conference with the employer and the employee representatives to discuss their findings. Understanding OSHA’s rules and regulations can help keep your employees safer, reduce the chance of an inspection and potential fines, and reduce workers comp insurance costs. 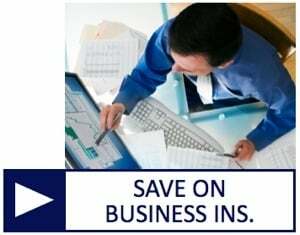 To learn how your business can save on workers compensation and all other commercial insurance costs, call our experienced independent agents at American Insuring Group at (800) 947-1270 or (610) 775-3848 or connect with us online. Our independence allows us to compare coverage from competing insurance carriers, so you can be confident of receiving the best deal on the right protection for your business in Philadelphia, Reading, Allentown and far beyond! Any good Workers Compensation Insurance (WC) program includes a strategy to ensure quick reporting of injuries and WC claims. Claims that are reported quickly are easier to evaluate and determine primary liability. The longer you wait, the more difficult that becomes. Therefore, learning how to shorten the reporting time should be a major goal when it comes to your Workers Comp program. Too often, the reason an injury isn’t reported promptly is that management and staff are unsure how to report the injury. Make sure that management knows the specific process for reporting injuries including a contact person to make sure the injury is filed quickly. Your WC insurance carrier and third-party administrators should be able to assist you with that information. All new employees should be made aware of your company’s WC process including written documentation of your WC insurer and other contact information along with written documentation regarding how work injuries should be reported and the information an injured employee will need to report that injury. It should also be made clear to all new employees that your company places an emphasis on safety and reporting injuries promptly and that injured employees will not be penalized in any way. Good communication is the key to any good WC program, so it’s important that you keep your employees informed about your company’s WC process both before and after an injury occurs. This might include posters, safety meetings, etc. You should also issue and post quarterly safety reports. State industrial commissions usually require this; however, you would do well to go beyond the minimum requirements. Those reports should highlight safety improvements within the workplace, so employees understand the critical role they play in keeping their workplace safe. A good WC program focuses on creating a culture of compliance and consistency where the emphasis is on creating a safe workplace and when an injury does occur that it is reported quickly, honestly, and ethically. For workers to buy into this type of culture, it needs to include senior-level leaders. Without the full support of upper management, the culture will break down. Accident-Free incentives – where employees receive a cash incentive for a certain number of accident-free days - are well-intentioned and often look like a good idea on the surface. The idea is that employees will be incentivized to work safely to receive the reward. However, studies have shown that this type of incentive ends up making employees feel as if they can’t report their workplace injury. If you want to provide employees with an incentive, a metric that encourages timely reporting of workplace injuries is a better idea. Technology offers many opportunities for employers to make it easier for employees to report injuries, which means WC claims are reported more quickly. Technology can also allow employees to provide more detail about their accident along with relevant documentation. Because most employees today have smartphones, a good option is an app. These apps are affordable and easy to implement. Features that are included with most of these apps include the ability to upload the first report of injury to the employer, insurer, and other stakeholders; easy communication between the claims management staff and the injured worker; and payment status and direct deposit of indemnity benefits. 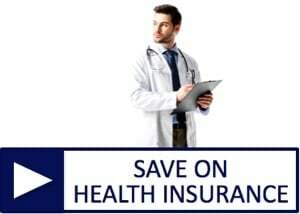 Ready to Save on Great Workers Comp Insurance? The agents at American Insuring Group can help you set up a Workers Compensation plan that promotes quick reporting of injuries, which can lead to more successful resolution of WC claims. PLUS, we can help you save a bundle on great insurance! Don’t wait - call us at (800) 947-1270 or (610) 775-3848 to learn more, or contact us online. The majority of injured workers are back on the job within four days. The longer an injured employee is off the job, the more it costs your company and the less likely the employee will return to work, so one crucial goal of any Workers Compensation Insurance program is to keep injured workers on the job or to get them back to work as quickly as possible. 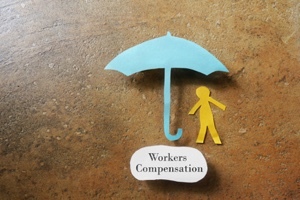 You should begin discussing your Workers’ Compensation program when an employee is hired. Most employees don’t understand how a WC program works or what is expected of them if they file a claim. Letting them know there is a process in place and that there are certain expectations from the start, can help save a lot of headaches down the road. The brochure should clearly state that there will always be an investigation following an accident, that the employer wants the injured employee to return to work as soon as possible, and that they will not be punished for getting hurt. That same brochure or an abbreviated version should be given to the employee when they are injured, so they have a step-by-step guide for the process. These brochures can help injured workers understand the process and allow them to become engaged in their recovery. However, it isn’t enough to simply hand an injured employee a brochure. One of the most effective ways to get an injured employee back to work is through direct communication. There’s a good chance that employee is confused or overwhelmed and may feel alone in the process. You need to let them know that they are not alone and that you have their best interests at heart. A supervisor or manager that the injured employee knows and trusts should call the worker the day the injury occurs or the following day at the latest. Let them know that you’re sorry they were hurt and ask them how they’re doing. Let them know that they are a valued employee, and you want to get them back to work as soon as they are able. Let them know what to expect and what they need to do and answer any questions they may have. Then there should be weekly conversations to monitor the employee’s progress. A get-well card can help too. The WC laws in each state are a little different, but in Pennsylvania, employers have the right to establish a list of designated health care providers that injured employees can use for 90 days from the date of the first visit. If an employer does not have a list of selected providers, provide written notice of the injured employee’s rights and responsibilities, and properly post the list, injured employees can go to the physician of his or her choice. The advantage of having injured employees stay within your designated network of medical providers is that you can choose physicians who are well versed in occupational health issues. These physicians will understand that getting an injured employee back to work is not only in the best interest of the employer but also the employee. Research has shown that most people recover and heal faster if they are participating in productive activities rather than becoming a couch potato. A speedy transition from injury to return-to-work is a win-win situation and doesn’t need to be complicated. If you clearly communicate your WC and RTW processes and expectations with all employees from the start, regularly communicate with an injured employee, and show concern for the well-being of your injured worker, you’ll be able to get him or her back to work more quickly. 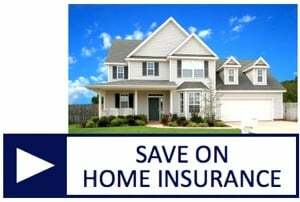 Save Big on WC Insurance - Contact Us Today! American Insuring Group specializes in Workers Compensation Insurance and we can save you a bundle. We shop and compare so you don't have to, and we're really good at it! 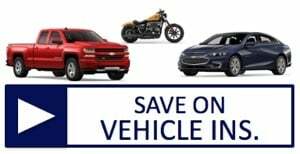 So give us a call at (800) 947-1270 or (610) 775-3848, or contact us online and start saving! This is the first in a series of four blogs that will focus on what OSHA (Occupational Safety and Health Administration) calls the Fatal Four – the four main safety hazards that account for a majority of all construction worker deaths, and therefore have the greatest impact on workers compensation insurance costs for the construction industry. In 2016, there were 4,693 worker fatalities in private industry, and 991 of those fatalities were in construction. That means that 21% or one in every five worker deaths were in construction. There’s no denying that worksites can be dangerous places to work. The Fatal Four were responsible for 63.7% of construction worker deaths in 2016; eliminating the Fatal Four would save 631 construction worker lives in the U.S. every year. Imagine how reducing injuries and fatalities that involve the Fatal Four could help your business lower contractor insurance costs, not to mention improve employee morale. Caught-in/Between accidents caused 73 construction worker deaths in the U.S. in 2016. These accidents occur when someone (or a part of someone like a hand or leg) is caught, crushed, squeezed, compressed, or pinched between two or more objects including getting caught, struck or crushed from materials, equipment or a collapsing structure. Although similar to struck-by accidents, caught-in/between accidents are a result of crushing injuries and not the initial impact. One cause of caught-in/between accidents is improperly protected trenches and excavations. A trench that is five or more feet deep needs to have a protective system, and a trench that is 20 or more feet deep requires that a professional engineer design the protective system. This includes proper sloping and benching to avoid collapse, shoring to support the sides, and trench boxes and shields to protect workers from being crushed or buried by a cave-in. Another precaution is to avoid using heavy equipment near an excavation when workers are inside the trench to help prevent cave-ins and equipment falling into the trench. Follow manufactures safety instructions and do not remove safety guards from power tools or machinery. Wear loose-fitting clothing or anything that can get caught in moving parts and pull you in. When power tools and machinery are not being used or when doing any repairs or maintenance on them, the tools should be properly de-energized. Wear seat belts and safety restraints when operating a piece of heavy equipment and don’t overload or overwork the equipment to avoid tipping it over. When working around heavy equipment, remember that operators may not have a clear line of sight in every direction, so workers should not place themselves between a moving vehicle and an immovable object. To reduce the number of injuries and fatalities caused by caught-in/between hazards, workers need to be adequately trained. They need to understand what hazards to look for and how to avoid them. If implementing these safety measures, saves even one life, isn’t it worth taking the time to train your employees properly? And as a bonus, you'll also help lower your contractor insurance rates. 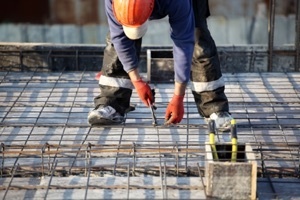 Creating safer work sites is just one way to save on contractors insurance. Another way (and it's so easy) is to work with American Insuring Group. 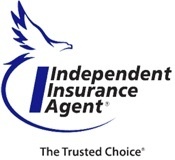 Our independent agents specialize in contractors insurance, so we can help determine the right coverage for you. 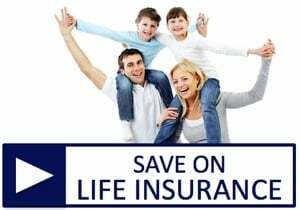 Plus, as brokers, we can compare the cost of that insurance among many competing insurance companies to make sure that you’re getting the right insurance protection at the best possible price. To learn more, give us a call at (800) 947-1270 or (610) 775-3848 or find us online. 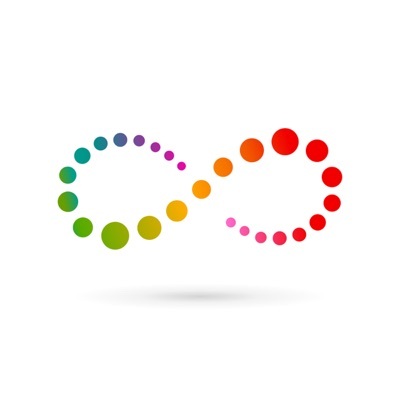 Wouldn’t it be great to this the year you decrease your Workers Compensation insurance costs? 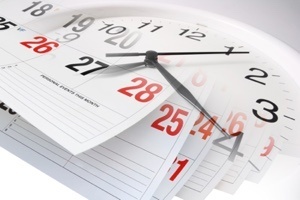 Now is the perfect time to tune up your WC program to experience cost-savings. 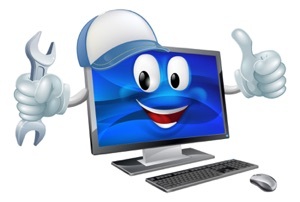 Take some time to look at your current program to see if any areas need to be updated or can be improved. Review the current members of your safety committee. Are they still the best people for the job? Are there any gaps? Review all of your safety communications including posters and brochures to make sure they are up-to-date and that they’re doing the job. HINT: There are many resources online - such as OSHA and the USDA– that offer free safety materials. Insurance claims should be reported the same day the accident occurs to allow WC claims adjusters to investigate the accident properly and establish compensability. Quick reporting will enable adjusters to control the course of the WC claim better. Take a look at how quickly accidents within your company were reported this past year. If you see that it took more than a day to report any claims, review your claim reporting procedures with all managers and supervisors, and explain why prompt reporting is imperative to the quick resolution of WC claims. You might be surprised to learn how much of a difference this can make in resolving WC claims more quickly and amicably. Let your injured employees know that your company cares about their well-being and that they are an essential part of your company’s workforce. 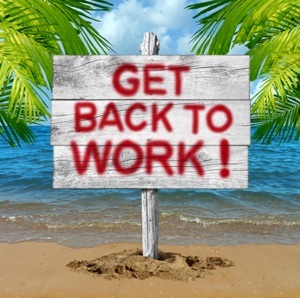 It’s impossible to deny the benefits (for both employee and employer) of getting injured employees back to work as quickly as possible, whether that means returning to regular or light duty. Your goal should be to return at least 95% of your injured employees to work within 1 to 4 days after their injury. Take some time to determine light-duty jobs that a recuperating employee may be able to do. Then, when an employee is injured, make sure that you give the medical provider a complete job description, so they can add any added restrictions. We already stressed the importance of keeping in regular contact with an injured employee to monitor his or her progress, but it’s also important to stay in touch with the claims adjuster to discuss the injured employee’s recovery progress, return-to-work status, and any permanent partial disability, which will require a modification to the employee’s job description. 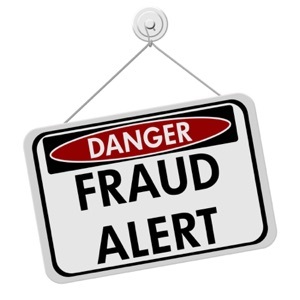 Make sure your employees are aware of the consequences of WC fraud. Post anti-fraud posters throughout your facility, start a fraud hotline for other employees to report suspected fraud anonymously, consider offering a reward to anyone who provides information that leads to a criminal conviction, and always report any suspicious claim to the Special Investigations Unit of your insurer. Ready to Save? Let’s Tune Up Your WC Insurance Policy! This is a great time to review your WC policy for potential opportunities to save while getting better coverage. American Insuring Group specializes in Workers Compensation Insurance and will help you get the right insurance at a great price. So give one of our experienced independent agents a call at (800) 947-1270 or (610) 775-3848 or contact us online. We’d love to help you make this the year you lower your company’s Workers Comp costs!